Spectacular luxury. Impeccable style. Best in class amenities. 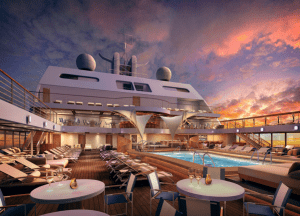 For those sailing on Seabourn’s newest vessel, Ovation, life cannot be better. The ship, launched in 2018, is the pinnacle of luxury cruise design. Ovation is intimate in its size, but grand in its vision. Seabourn worked with famed interior designer Adam D. Tihany to create luxurious suites, incredible dining areas and a masterful layout more akin to a private yacht than a traditional ocean liner. Seabourn’s commitment to small ship cruising means settling for nothing less than the best. 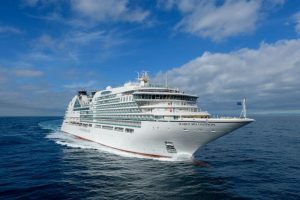 Along with sister ship, Seabourn Encore, Ovation is redefining what it means to experience ultra-luxury at sea. Gracious hospitality, coupled with the stunning interiors, make cruising with Seabourn an experience you won’t soon forget or replicate. Those who choose to sail with Seabourn will experience unique and innovative programs and partnerships on board with a very select number of individuals and companies who share Seabourn’s immense passion for outstanding guest services and satisfaction. Experience the ship in more detail HERE.